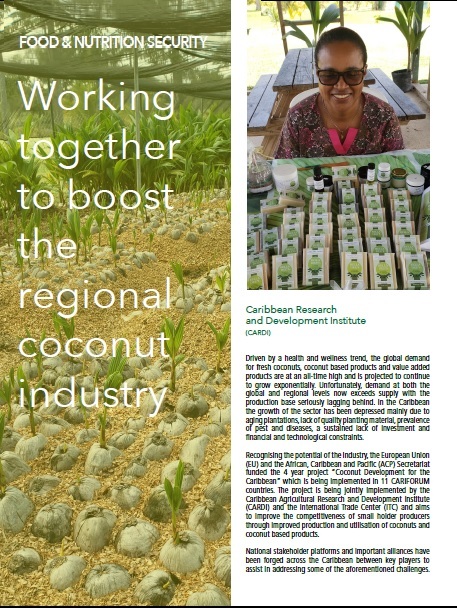 Driven by a health and wellness trend, the global demand for fresh coconuts, coconut based products and value added products are at an all-time high and is projected to continue to grow exponentially. Unfortunately, demand at both the global and regional levels now exceeds supply with the production base seriously lagging behind. 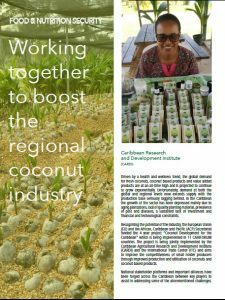 In the Caribbean the growth of the sector has been depressed mainly due to aging plantations, lack of quality planting material, prevalence of pest and diseases, a sustained lack of investment and financial and technological constraints.